Let’s face it, social media can sometimes overshadow email’s star power — the younger more glamorous sister sure gets a lot of the attention. But make no mistake, email remains an important tool for marketers and also has a secret weapon: access to recipients’ in box. The challenge is optimizing email for today’s technology, reader preferences, and behaviors. 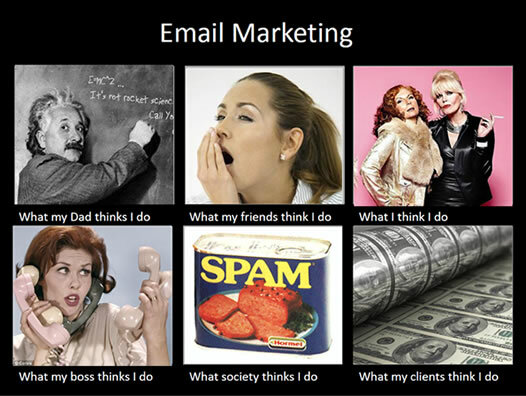 Here are some best practices to keep email relevant and retain its marketing power. Keep text short, punchy and focused on the CTA: Channel your best inner editor to get points across in a concise, engaging way and make the CTA prominent. And remember, only the subject line or first few lines of the email will appear on the screen, so that is the place for the sizzle AND the steak. Limit graphics and make images clickable: You want your email to be visually interesting and to capture attention, but on mobile devices, space is at a premium. Having a few strong graphics is best and they should have a dual purpose as an image and CTA link. Let the fingers do the walking: Because touchscreens are the most popular interface on mobile devices, make sure your email is “finger-friendly” to open, navigate, and zoom around the content. Ensure that links are prominent and clear what the action is, you don’t want readers to miss the clicks. 2) Catch your reader’s attention-it’s now or never—Follow these rules to get recipients to open, read, or at least scan your email. Have a catchy subject line: Next to the sender name, subject line still remains the most important reason why someone opens an email. Studies show that recipients prefer directness in their subject line—why are you contacting them? Use words that get attention like “limited time”, “discount”, “VIP-sale”, theme around events such as birthdays and holidays, and personalize based on prior purchases or interests. Test and compare subject line effectiveness with Subjectli.nes. Include unexpected content: Surprise your readers. Emails don’t have to contain copy exclusively from the company so include customer testimonials, brand advocates, reviews, Pins related to your products, videos and other creative ways of communicating your message. Make content easy to share: Having popular social widgets such as Facebook and Twitter is a no-brainer, but also include a pop up menu with lesser-known options. And don’t forget the tried-and-true “forward to a friend” link. Remember, your message will be going to the recipient’s in box by a trusted source. Encourage action on social media: Give email recipients a reason to “like” or follow your company. Do mention social offers but giving any sort of exchange for a “like” could backfire. Interest should happen organically or it can cheapen perception of your brand. Also be sure to include an email subscription sign-up option on your social media. Drive traffic to your web site: Call out a related company blog, industry resource, video or other links on your web site. This will also encourage sharing content with others, opportunities for comments, and increase the time readers stay on your web site. And always…Respect email preferences: Email subscriptions are a privilege, not a right, so don’t give your subscribers an excuse to get off your distribution list—once they’re gone, it’s difficult to get them back. Many companies now have highly-customized email communications preferences based on interests or frequency so customers and prospects can still hear from their favorite brands when and how often they want.